The range of reactions Campbell describes is so familiar! It gives me goosebumps how timeless and universal the hero’s journey is. It also reminds me to keep my mind open, especially in areas where I may still hold rather conventional ideas. I want to point out that “confront society” needn’t mean being “in your face” about it. Just by living in the world we are seen by others—they will know we exist. And if or when they are ready to consider what our children’s joyful lives might imply about their conventional understanding of learning and education and parenting, they’ll do so. They may even ask us questions about our lives as part of their own unschooling quest. And I like that Campbell refers to others in the ordinary world as “good people.” Parents who aren’t unschooling are not “wrong” or “bad.” Unschooling isn’t necessarily a good match for every family. And we know that conventional doesn’t mean “right” or “good” either. I think the key is parents knowing that they have a choice. The compulsory school system has barely been around a hundred years yet it’s become synonymous with childhood—the idea of choice has been buried. 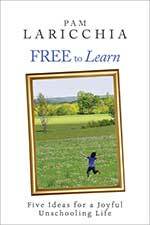 Knowing that they are free to choose the environment in which their children learn will encourage people to consider their unique family and explore what works best for them. These worlds—unschooling and ordinary—are illustrative, not literal. Returning to the conventional world isn’t about converting or convincing others. It’s about integrating our unschooling lives into our ordinary world. 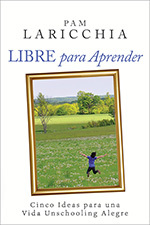 Unschooling becomes living. Unschooling is living. As we move more and more into the ordinary world, we can find it challenging to describe our multi-faceted lives in the more black-and-white terms others will understand. It reminds me of unschooling articles researched and written for mainstream publications, both print and online. Experienced unschooling parents, living happily with their children and excited to share, agree to be interviewed. The journalists—good, well-meaning people—try their best to quickly understand what their lives look like. 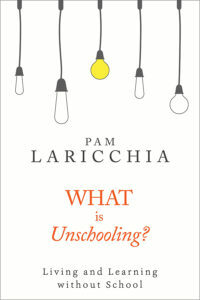 The unschooling parents try their best to answer the questions, which are, unsurprisingly, conventionally-slanted. And time and again, upon publication we see that the answers stubbornly refuse to come together in a cohesive, meaningful picture of unschooling. In fact, most times we’re happy enough when we don’t look crazy. 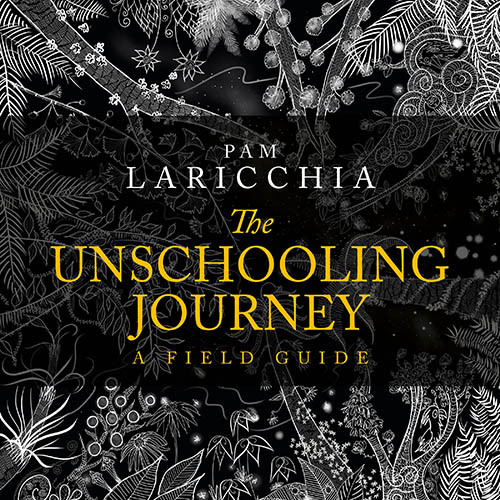 For example, in an online article about unschooling published by a Canadian magazine a few years, unschooling parents used phrases like “they’ll figure it out themselves,” “choose what they want to learn,” “consensual decisions,” and “no bedtimes” to describe their unschooling lives. These are definitely accurate descriptions of the unschooling lifestyle that many of us have developed over the months and years on our journey. But imagine the pictures that those phrases would likely conjure up in the minds of conventional adults who haven’t deeply questioned their most basic assumptions about children and learning. The scenes playing out in their minds are probably so different! Like the difference between playing in a field of flowers on a sunny day and a day spent in the Hunger Games’ arena. Okay, I’m exaggerating a bit, but the conventional paradigm of adults versus children is strong. Our children’s actions are a result of the environment we create for them and the lens through which we observe them. Where we see our children choosing what they want to learn, they see children who never “want” to learn anything. Why the discrepancy? Because in their worldview, the only learning topics that count are those in an approved curriculum and the only way to learn is to be taught by someone, preferably a teacher/expert. So much of the learning that we see, they dismiss outright. In fact, they probably see children actively avoiding learning (i.e. school). When we say “no bedtimes,” they envision chaos and crankiness. And from their perspective, if they were to just “drop the rules” (like bedtime) and leave their kids to their own devices, there’s a good chance they would find themselves immersed in pandemonium. I fear for the future of “unschooled” children. I fear for the future of those who have to live in the same community as, and end up supporting “unschooled” children. How incredibly stupid. So these parents have decided to go back to giving their kids the type of education that people had before schools existed. how nice to deprive your kids of an education. I’m scared to think what our society might be like in 20 – 30 yrs when these unschooled kids are supposed to be the leaders of that generation…scary indeed. I think one of the big reasons this vast disconnect happens is because journalists focus on actions. “What do you do for this?” (math) “And this?” (socialization) “Do you do this or that?” (teach them or leave them) The nuances are already lost just in the way the questions are phrased. And they leave little opportunity to reference the extensive inquiry and self-reflection that’s been integral to our journey. Yet that’s not surprising—they have likely been asked to deliver a piece that describes what day-to-day unschooling looks like. And they are most often on a tight deadline—they don’t have the luxury of the many months we’ve dedicated to this journey, delving into the paradigm-shifting ideas that form the strong foundation of relationship on which our actions are built. 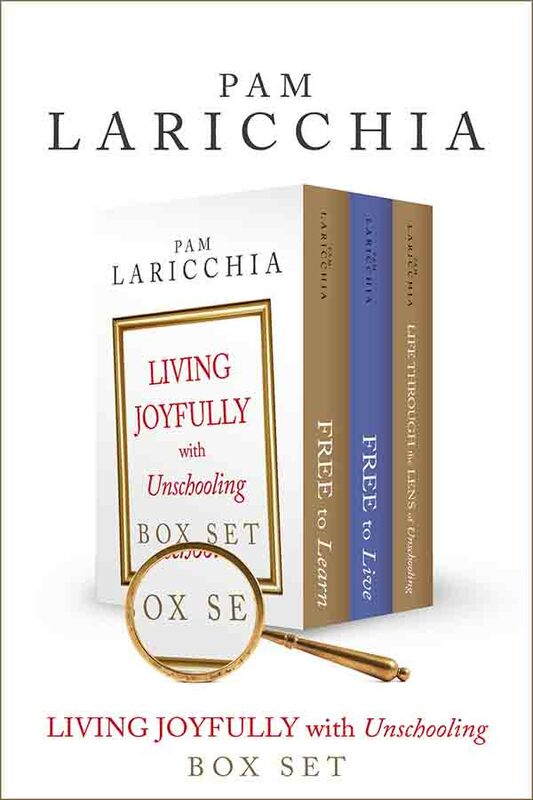 So though we are using familiar words to describe our lives, they have a richness to them that we discovered on our unschooling journey which is invisible when viewed through the conventional “yes/no” filter. Where they see anarchy and parents leaving their children to flounder and fail, we see strong and connected relationships and parents actively supporting their children as they explore the world. On our journey we’ve worked hard to see things through our children’s eyes so we can better understand their choices and actions. And it can certainly help to take the time to understand the perspective and motivations of those in our ordinary world as we re-integrate. To expand our own horizons, and our children’s. The world is a wondrous place! And we are an example of living joyfully without school for those around us, helping them see possibilities beyond the ordinary. It’s definitely worth the effort. 1. Have you found that the words you use to describe unschooling are sometimes misinterpreted by others? 2. What motivates you to knit your two worlds together? 3. 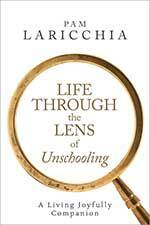 Has unschooling mostly become synonymous with living for your family? The ultimate boon: Unschooling with confidence and grace. 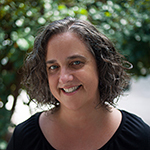 Refusal of the return: Will we choose to step back out of our unschooling bubble? The magic flight: Finding a safe place in the ordinary world. Rescue from without: When the ordinary world comes knocking. When I was at a church breakfast a few months ago, an older woman that has sort of designated herself as “adoptive grandma” in my kids lives asked how I teach all of my children. I replied that I don’t stand up in front of the room and teach like a teacher does in a classroom, but that my children learn about whatever they feel like learning about at that particular time. She looked shocked and said, “But how will they learn math? How are they going to learn what they need to know?” I tried to explain how children are more apt to learn when they’re actually interested, rather than because someone said they had to. She acted as if she understood, but she still looked baffled. As for knitting the 2 worlds together, I think my kids will be the driving force behind that because they want to explore and be out there seeing and doing. They’re actually a really good example for me to learn from. And my first inkling that unschooling was now synonymous with my kids’ lives was when they stopped asking me why they don’t get to have a summer vacation. They play, laugh, and learn. That’s what life is about now. I love that they’ve stopped asking about summer vacation. That’s a great clue things are settling in! I find it very difficult to describe our lives to those outside of home education, even more so because we’re unschoolers. I make it even harder for myself because I’m not very articulate so I have great difficulty getting my point across! I write a diary style blog partly so that I can ‘brain-dump’ but also so that family and friends have some idea of what we get up to and hopefully if they read regularly they will get be able to see the bigger picture and increase they’re understanding of our lifestyle. Home education in the UK is still quite rare, and unschooling even more so. So unless we never left the house, we have no choice but to knit our worlds together. 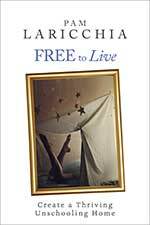 I feel so immersed in unschooling I find it hard to understand why anyone would want to live a ‘regular’ life. I often think that perhaps they haven’t seen ‘the light’ yet but I’m not sure some would follow it even if they did. I’m trying to work on my understanding that unschooling (and even home education) is not for everyone and respect their choice, in the hope that they’ll respect mine. I took a peek at your blog—some lovely days there, and I love the name! LOL! But in the end, yes, I realized it was having the choice that was valuable, rather than thinking there was one “best” choice for everyone. I am really enjoying this exploration of the hero’s journey! The process is amazing and enlightening, thanks Pam. For us, nearing the end of our first year of unschooling, I find my words woefully inadequate and almost as if folks are trying to misinterpret them, looking for loopholes to hang me with. each question or exchange of information starts out with me trying to explain a concept – like no bedtime for instance. They sleep when they are tired and wake when they are done sleeping I say. Which people seem to agree is a great concept and maybe even some are jealous of the thought of someone else “getting” to live that way, but then ends with some form of, “but how will they get or keep a job?” As if only 9-5ers are “real” workers. Eek. My daughter will tell everyone how she stays up til 3 or 4 some nights – I think she is testing the reactions and enjoys being on the fringe path. But no matter how I explain it, others see it as somewhat negligent on my part. Truthfully, after almost a year I am still not trying to integrate with the real world. It seems still so harsh and judgemental and I don’t yet have my armour fully on. We are still happy in our cocoon (one I didn’t even realize we were making until I started reading these articles!!). However I am starting to realize that perhaps folks are seeing my lack of involvement as apathy or even superiority, when in actuality all I want is for us to do our thing without criticism. So I feel I must start to recombine my two worlds soon. I wish people could understand that this is actually the hard path, and one that is usually walked alone. I don’t know any other unschoolers in real life. Somehow people think we are taking the easy way out by not choosing school and it is completely the opposite! 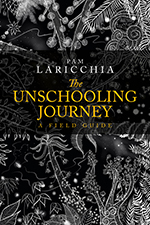 Unschooling well – which for me right now means we enjoy our lives day to day without it always having to lead somewhere important or end with tangible, testable results – is something that we do about 60% of the time. Sometimes the fear works it’s way in – for me, not so much my kids – and I get set back for weeks worrying if I am doing enough, desperately trying to work in some “real” learning or create un needed structure. Fortunately, this period is exhausting emotionally and physically and I usually crash and regroup quickly. I remember just how hard getting my girls up and to school was, the crying because they did not want to go, the bribery and cajoling, then the stressed kids after school and the homework and …. Well you know. Anyway it re affirms my commitment and gets me back in the game. I had similar experiences in conversations with others, and eventually made peace with the idea that I didn’t need them to know the details of our lives. We were comfortable, and that’s what mattered. I didn’t bring our lifestyle up in conversation, and when people asked I was careful not to overwhelm them with detail. In fact, the very first post I wrote on this blog was about answering questions: Curious About Unschooling? And yes, it’s so interesting to see how other people interpret our actions! Understanding that, we might be able share tidbits here and there that help point them in the direction of our actual motivation. But often their interpretations say more about them than about us, so I’d be careful about taking them to heart and feeling you must do something about it.